On October 21, 2016, Ricky was working at Home Depot. While he was outside in the rain collecting shopping carts throughout the parking lot, a vehicle was passing by him on the right and struck Ricky as he was walking to gather more shopping carts. The vehicle’s left wheel ran over Ricky’s left foot and he fell to the ground, landing on his right hip. Ricky was transported by ambulance to Montefiore New Rochelle Hospital where he was evaluated, treated, and released home with medication. As a result of the incident, Ricky suffered multiple injuries including lumbar disc bulges (that later required pain management injections and surgery), right hip contusion and impingement, and left foot / ankle crush injury and sprain. Ricky was confined to his bed for approximately twelve weeks. He was unable to work due to his injuries and lost thousands of dollars of potential income. Thanks to his cousin, Ricky was introduced to The Case Handler team! Since Ricky was wearing a hooded rain coat while working outside on the day of the accident, the defendant blamed Ricky for not detecting the approaching vehicle. The defendant’s insurance company initially offered $31,500, but our team did NOT agree. 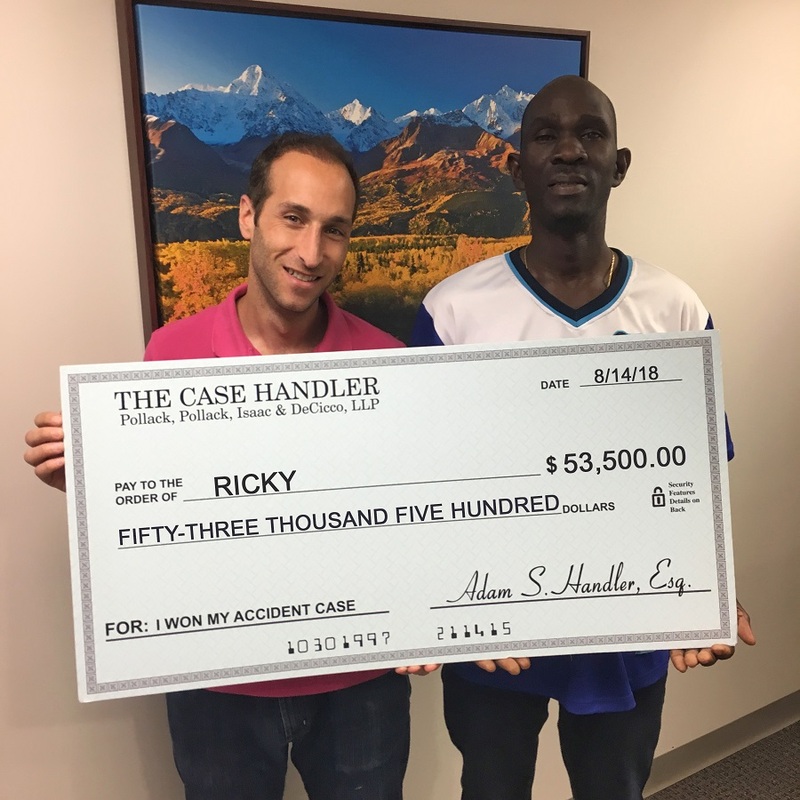 With our help, we successfully increased Ricky’s recovery amount to $53,500.00 AND we successfully negotiated his workers’ compensation lien from $85,504.08 down to $20,000.00! Now that’s more money in his pocket!